It is no secret that top search engines like Google and Bing favor websites that offer not only original content, but content that is updated on a daily basis across multiple marketing mediums. Unfortunately for most car dealers on and off site SEO does not offer the straight forward ROI statics they have become accustomed to receiving from more conventional forms of lead conversion. 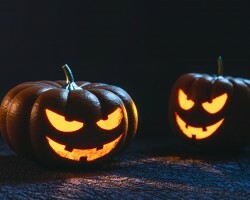 The fact is that over time a strong SEO program is shown to improve brand awareness, dealer reputation, service absorption rates and most importantly increase not only the total amount of leads, but the quality of the leads themselves. In this article we will be discussing four avenues that an average car dealer can use to improve their websites’ SEO and online presence. The inherent problem with most car dealer websites is the lack of original content that is not only informative, but keeps the visitor engaged and wanting more. What is important to realize is that it’s not a matter of just having more content for the sake of having content, but you will need to develop a real strategy based on your target audience, insights and behavioral statistics. 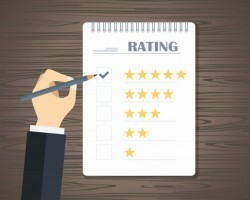 Some good examples of original content that car dealers can produce themselves include new or used car reviews (video and text based), customer testimonials, vehicle safety tips, automotive maintenance tips and a daily, weekly or monthly contest that requires the consumer to visit the website daily to participate. Back linking strategies have evolved over the past several months due to the changes Google has made to their algorithm which assigns a specific value or “quality” to the referral. Standard operating procedure for any car dealer is to make sure their business information is live and up to date on all of the local directories such as CitySearch, Yelp, Yahoo local, Google Maps, Google Plus and more. More advanced strategies should include producing high quality articles for distribution on relevant third party sites that have an equal to or higher page rank. Implementing a successful SEO campaign requires a deep understanding of how your visitors interact with your website. This can only be achieved through extensive analysis of website analytics to identify problems with keyword management/density, meta information, navigation, URL structure, H1 tags, page flow, referrals, landing page configuration and content management. This one of the most difficult areas to address for car dealers since their ability to gather information and make the necessary changes require the system to be flexible. 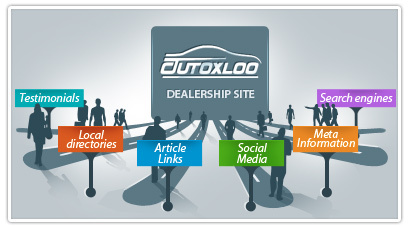 Autoxloo offers the most SEO compliant platform on the market today. 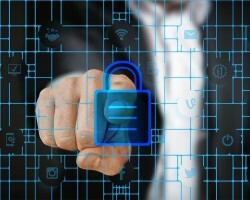 IT directors and Internet Managers praise the system for its feature set and flexibility to allow them to get the results they need to stay ahead of the competition. The term “social media or social marketing” needs to be integral part of a dealers daily effort to promote their inventory, dealership, brand, but most of all their customer base. The goal for any social marketing program is for your message to go viral and as a result the cost of acquiring a new customer reduced across multiple lead conversion platforms. 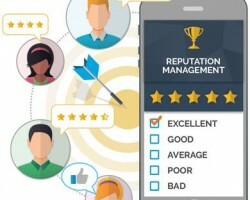 Capturing and repurposing both video and text based customer testimonials has proven to be one of the most effective ways to not only produce high quality referrals, but help maintain a favorable online reputation. Other social media outlets that can be used to gain online visibility include Twitter, Facebook, YouTube and Pinterest. Each one of these outlets will require daily updates and interaction with the public by either an employee of your dealership or a member of our dedicated team of Social Media experts. Take a Proactive Approach to SEO!